bebop spoken here: Tonight @ The Cherry Tree - not to be missed! Tonight at the Cherry Tree is rather special, but aren't they always? So perhaps I should say EXTRA SPECIAL! By which I mean a return visit from top singer Alice Grace. Alice wowed the audience on her previous visit to the Cherry Tree and has also created waves at the Jazz Café. 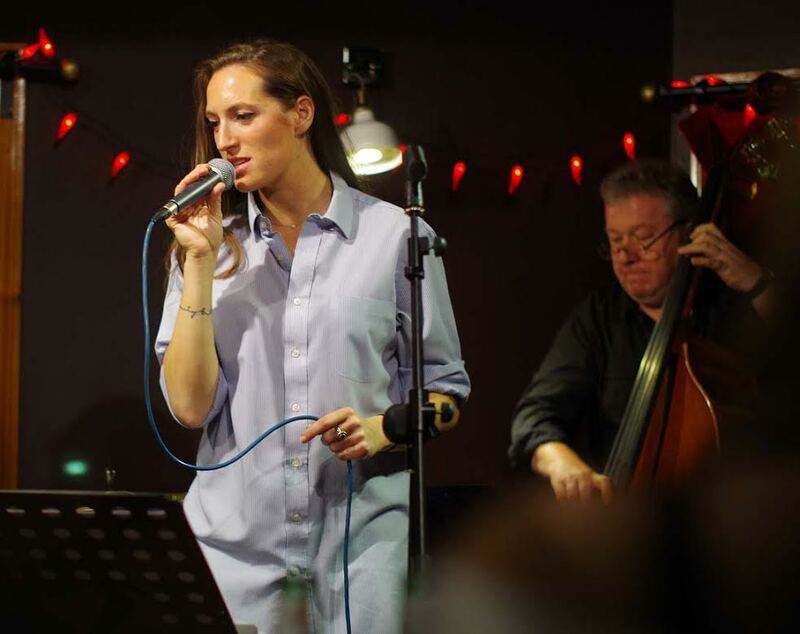 Her CV includes stints at Ronnie Scott's as well as with the National Youth Jazz Orchestra. If you missed her last time don't get caught out again. Once more Alice will be accompanied by the outstanding Peter Gilligan Trio (Peter on piano; Paul Grainger, bass and Russ Morgan drums). Wednesday October 14 - Alice Grace w. Peter Gilligan Trio, Cherry Tree Restaurant, 9 Osborne Rd., Jesmond, Newcastle NE2 2AE.. 0191 2399924. 7:00pm. No cover charge.